Chronic or recurrent sinusitis has made your life miserable. After suffering from 3-4 sinus infections a year, frequent visits to the doctor, and non-stop congestion, you’re finally ready to take the next step, which may be sinus surgery. Sinus surgery will remove the blockage in your sinus pathway and restore drainage to your sinuses. This will allow you to finally move past infections and look forward to breathing with ease, right? Yes, sinus surgery can provide relief, which is why it’s a popular treatment option for chronic sinusitis. However, surgery may not permanently end your sinusitis. For many of the millions of people with sinusitis who undergo sinus surgery, the blockage returns and another surgery is needed. The relief gained from surgery can take several weeks to begin. Make sure your first sinus surgery is scheduled for success by working with Dr. Weiss at CT ENT Sinus Center, and by exploring the PROPEL® sinus stent. Schedule with Dr. Weiss Today! Sinus surgery is intended to provide you relief from your sinusitis symptoms and reduce or prevent future sinus infections. Surgery can involve removing tissue, bone, or polyps to allow you to breathe freely from your nose. Healing may take weeks, and long-term results, while likely, are not guaranteed. The PROPEL® sinus stent is clinically proven to prolong the results of sinus surgery, increasing your chances of experiencing the long-term benefits of sinus surgery that you’re seeking. PROPEL® sinus stent is designed to keep your sinuses open and free of obstruction post-surgery. The stent releases a steroid that combats problematic inflammation and scar tissue. 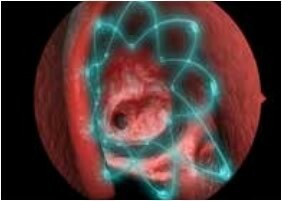 After 4-6 weeks, the stent has served its purpose and will dissolve, leaving no trace of it behind other than the impact it has had helping to clear your sinus pathways. Don't Continue to Suffer - Act Now! You have a choice. You can stop the effects of your chronic or recurrent sinusitis by taking action and clearing the sinus blockage that has brought you misery. Avoiding treatment is welcoming new sinus infections, sinus pressure, and non-stop treatments and doctor visits. Instead of fighting each sinus infection with sprays, medication, and other ineffective or short-term methods, take a step towards long-term relief. Consider sinus surgery and the PROPEL® sinus stent with Dr. Robert Weiss from CT ENT Sinus Center. Dr. Robert Weiss is the Director and Founder of CT ENT Sinus Center, which has become one of the nation’s leading in-office sinus centers for offering minimally invasive procedures. Dr. Weiss can guide you past your sinusitis with sinus surgery and the PROPEL® sinus stent. There is limited availability for consultations so schedule your appointment today.